Get those boys and ghouls gussied up! 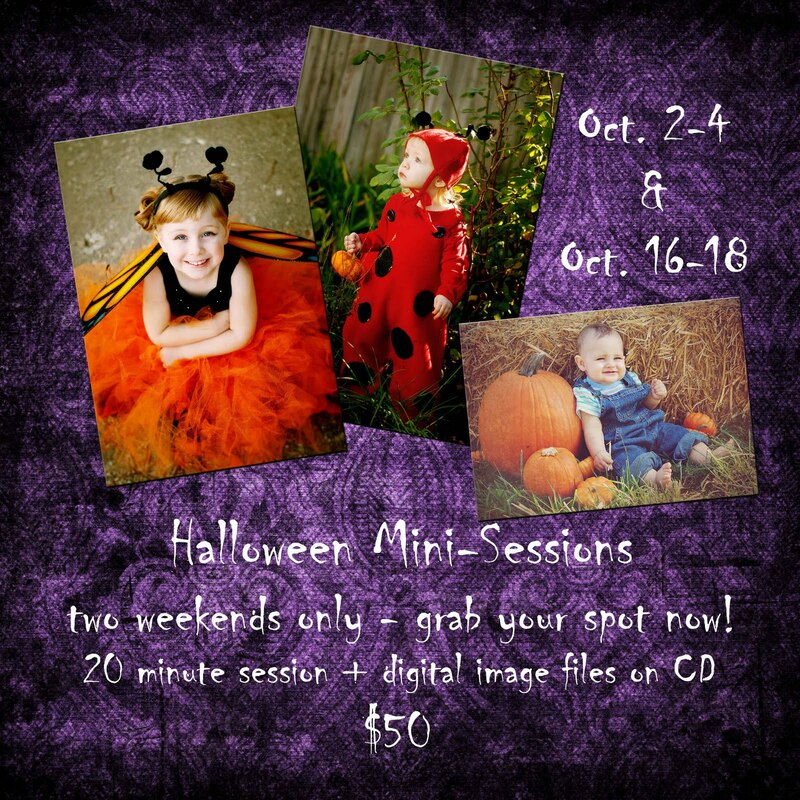 Capture your little goblin as his or her alter-ego with a Halloween Mini-Session! This limited time offer includes your 20 minute session PLUS your professionally enhanced images on CD for the special price of $50! I have spots available Friday, Saturday and Sunday for the weekends of October 2-4 and October 16-18. All shoots to take place in Bellevue, Nebraska at a special outdoor location. Contact me for details! Grown-up spooks are welcome too!